This U.S. 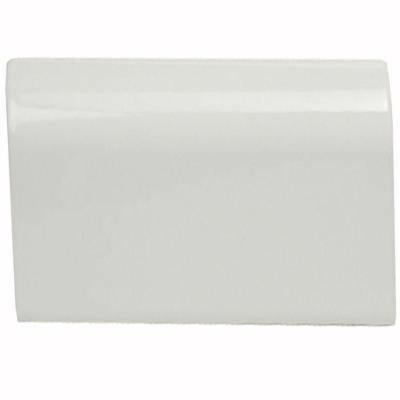 Ceramic Tile Bright Snow White 2 in. x 6 in. Ceramic Bullnose Radius Cap Wall Tile features a glazed finish with a beautiful semi-gloss sheen to enhance any tiled layout and is suitable for interior wall applications including kitchen backsplashes, as well as countertops and shower walls. Choose matching trim or contrasting colors to create a more traditional or more creative, customized design to suit your space. This tile is certified by the American National Standards Institute (ANSI). You can buy this product in our internet market. We will be glad if you make the right choice.